Pearls are the result of invasion and injury. They are the unlikely products of an intrusive grain of sand causing irritation and injury in a living organism, the oyster. During this painful process, however, the oyster surrounds the intruder with layer upon layer of Mother-of-Pearl. In the end, the wounding becomes a source of wonder and beauty...a gem of great price. At times in life we are assaulted by the unwelcome intrusion of crisis. The death of a loved one leaves us buried in grief. Painful memories paralyze our present. Illness or injury finds us struggling to adapt. Broken relationships bring feelings of isolation. Sometimes there is not crisis, but a gnawing sense that there is more to life, a longing for deeper self-awareness, more intimate connection with others, and greater freedom to love. The staff at Pearl Counseling Associates believes that even in the severest of unwanted wounds and problems, a pearl of great price can be formed. 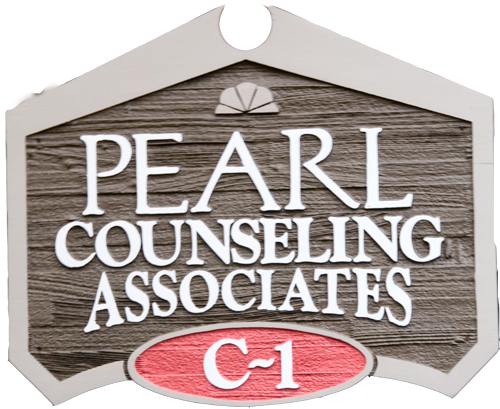 Pearl Counseling Associates (PCA) is an association of independent Christian practitioners who function as a multidimensional counseling team. PCA represents a broad range of clinical experience and expertise which includes individual, couple, family, children, and group therapies. The associates of PCA share a common faith and trust in Jesus Christ and the infallibility of the Bible. The focus of PCA is healing of the distressed life and the troubled soul through the healthy integration of spirituality, theology, relational principles, and clinical excellence. To provide the Puget Sound Community with biblically sound, professional therapy. To help our clientele overcome personal, marital, or familial difficulties, grow personally, and help them become better stewards of their lives. To encourage our Christian clients to grow in their relationship with Christ. To provide a safe environment for those of other faiths who are seeking professional help in sorting through the difficulties that life presents. To grow, as counselors, in our personal and collective relationship to Christ and provide mutual collegial support for personal, spiritual, and professional growth. To be a resource for groups, organizations, churches, and ministries seeking our expertise. To link with other Christian organizations to provide a network of Christian services to the community. PCA is open to all individuals, couples, and families who are in need of counseling regardless of religious preference, race, or culture. We provide services that are covered by many insurance groups. Specific fee arrangements are available on an individual basis. PCA is available to local churches, pastors, ministry teams, and other organizations for seminars, workshops, consultation and specialized training. PCA also provides career development assistance as well as organizational dispute resolution consultation.